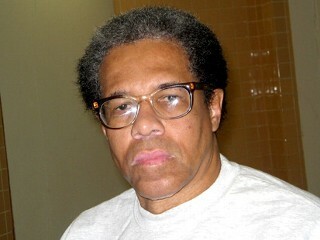 On Tuesday, May 29th, Albert Woodfox will begin a 3 day hearing that may result in his conviction being overturned for a third time. Proceedings will begin at 9am in Courtroom 1 at the US District Court in Baton Rouge and continue through Thursday, May 31st. Albert will be present for the proceedings, and the hearing is open to the public. Please remember if attending that the Federal Court strictly enforces a more formal, conservative dress code (no short skirts or shorts of any kind, even with tights, no bare upper arms, sleeveless, or low cut shirts) and requires that observers don't react, either visibly or audibly, to anything the might see or hear in the courtroom. Also security is tight, so bring only your ID, car keys, and a pen and paper into the courthouse. There is limited seating in the courtroom so if you arrive and are turned away, consider your show of support a success and try coming back the next day! Unlike the first and second time that Albert’s conviction was overturned based on judges who cited racial discrimination, prosecutorial misconduct, inadequate defense, and suppression of exculpatory evidence during his first trials for the 1972 murder of Brent Miller, this proceeding will seek to overturn based on apparent discrimination in the selection of a grand jury foreperson during his 1998 retrial. The well known facts of the A3 case will not be debated; all that will be examined is whether or not people of color were discriminated against during the grand jury selection process. This means instead of murder mystery theatre, witnesses will mostly discuss compositions of the pool of grand jury forepersons in the Parish where Albert was indicted. Expert witnesses will discuss statistical analysis and methodology, the demographics of the community, and the sociological mechanics of how discrimination can play out in the criminal justice system. If successful, this claim could serve to overturn Albert’s conviction for a third time. For more on the case, read A Crim Case 5 & 6.